Take your coffee (or tea!) 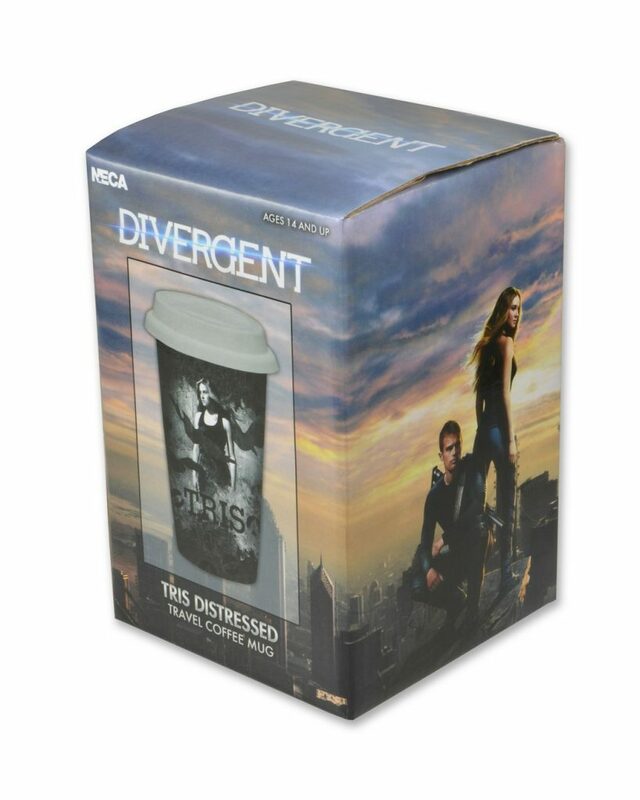 on the go in this sturdy ceramic travel mug from the Divergent movie! The 12-ounce mug fits most car cup holders, and comes with a soft silicone top that’s easy to clean. Features double-walled construction to keep drinks insulated, plus vivid artwork of main character Tris and her tattoo designs. Dishwasher and microwave safe to 180˚F.